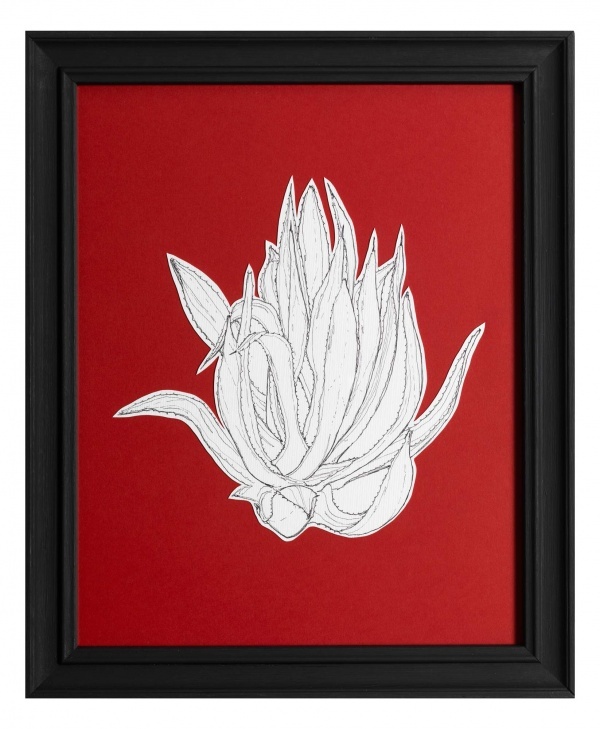 The study of nature and its forms is significant in the paintings by David Aaron Angeli. 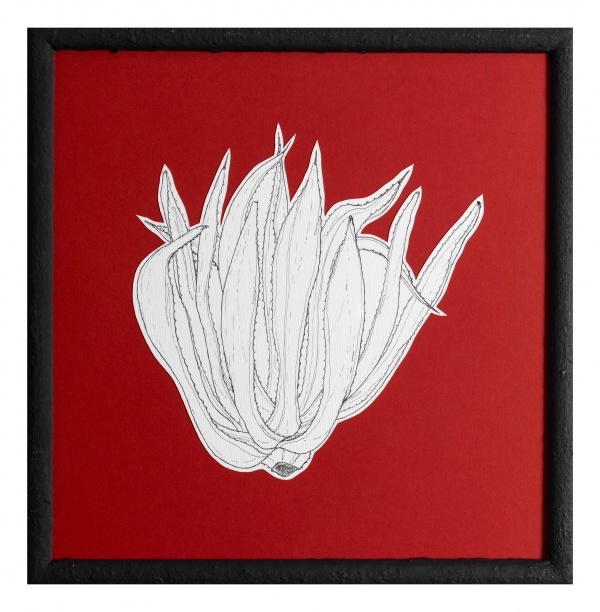 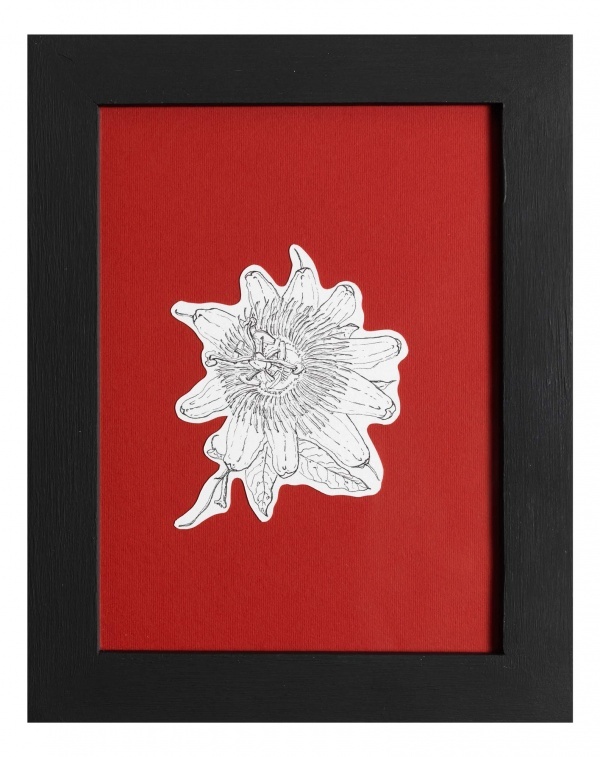 The artist, by observing reality, transcribes the essential feature of the elements of the flora, enhancing them with a red cardboard background and a dark wooden frame. 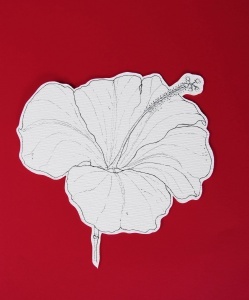 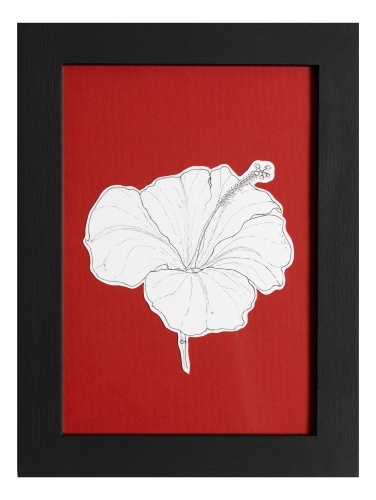 The drawing, which is central, has a high symbolic density: the hibiscus is the symbol of beauty.